Homeowners typically find duckweed infestations in ponds near woods or surrounded by plants, fueled by the nutrient-rich waters and the lack of wind. 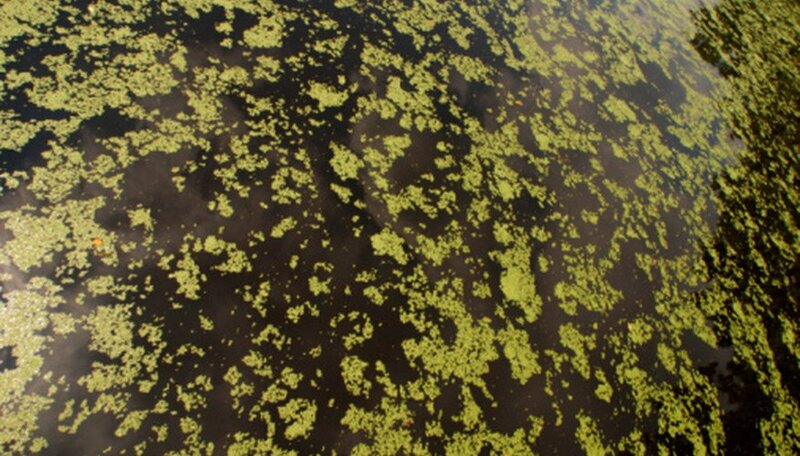 The free-floating duckweed quickly covers the entire surface of the pond and blocks sunlight from reaching submerged plants, hampering the photosynthesis process. The lack of photosynthesis results in a critical shortage of oxygen in the pond, which can very quickly kill plants and fish. Early identification and removal is key to combating duckweed. Carry the container far away from the pond or any other bodies of water. Empty the duckweed into trash bags. Tie the trash bags securely and put them in a lidded trash can. Clean the inside of the container with hot water if you plan on using it again.